Central Cuba is often referred to as the 'Soul of Cuba', and it offers some excellent beaches, dramatic mountain scenery and picturesque colonial towns. This area receives fewer visitors than elsewhere on the island, but is well worth visiting to get a closer look at this fascinating Country. Trinidad is one of Cuba's oldest cities and is probably its best preserved, a fact that has been recognised by its UNESCO World Heritage listing. Dating back to 1514, the City is well worth a few days exploring, delving in to the history of slaves and sugar. 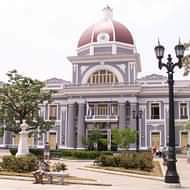 Cienfuegos, the 'Pearl of the South', is a more modern, beautifully preserved colonial town with a distinct French neoclassical influence. Nearby Santa Clara is the resting place of Ernesto 'Che' Guevara. It's a typically Cuban town with memories of the revolution. To the west of Trinidad, the swampy Zapata Peninsula is a perfect spot for nature-lovers. The renowned Playa Giron - Bay of Pigs - is also in the area. Hotels in the region tend to be either colonial-style city centre hotels, or more modern properties on the edge of town. Options are fairly limited and many hotels fill quickly because of this, so plan well in advance to visit the area. Spend a few nights in Central Cuba as part of a longer trip to Cuba. Hiring a car really comes in to its own in Central Cuba, allowing you to visit numerous fascinating destinations. A good starting point is a Havana, Trinidad and Varadero Multi Centre holiday, or an escorted tour finishing on one of the beautiful beaches. Getting to Trinidad is possible from Havana, with coach transfers available three days a week, taking 5-6 hours each way. 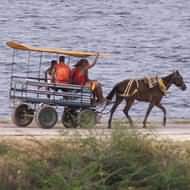 These transfers also give access to Cienfuegos and Zapatas. 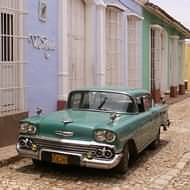 For a more flexible alternative, hire a car in Havana or Varadero and drive yourself - the roads are generally quiet, and this option will really open up Central Cuba to you. Have a look at our Central Cuba itinerary suggestions and our range of hotels in this part of Cuba. If you see something of interest call one of our friendly reservations staff on 020 8989 0970, or fill in a quote and we'll check availability and get back to you. If you're not sure what's best for you, ask to speak to one of our staff who've visited recently!